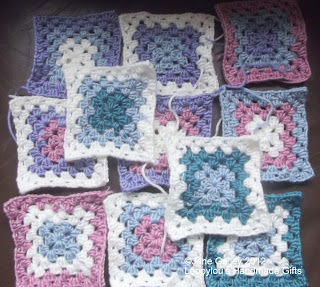 Another session with the crochet hook, and I have these to add to my pile of granny squares. By the look of the balls of yarn I have left, I may have to do some squares in solid colours, but I think they should go well with those already done. I don't have to think about that yet, there are still some different colours to add to the ever growing collection. Summer garden looking colors. Looking good.